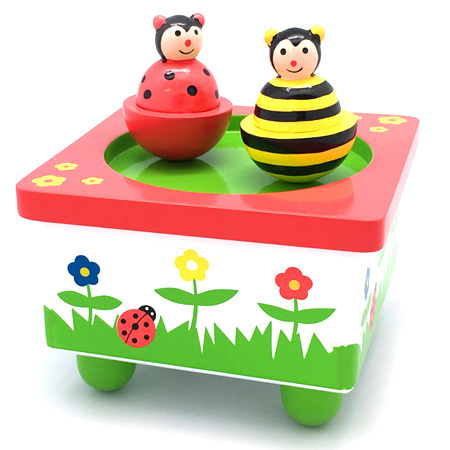 Dancing Bee and lady Bug Wooden Music Box is a beautiful version of this delightful range of music boxes. When the music box is wound up the little bee and bug spin round and round each other on the top of the box. This is a great toy to have in a childs bedroom to help with sleep and when they are a little older they will love to wind it up and set it going themselves. We like this because: "Very nicely finished, lovely little insects."